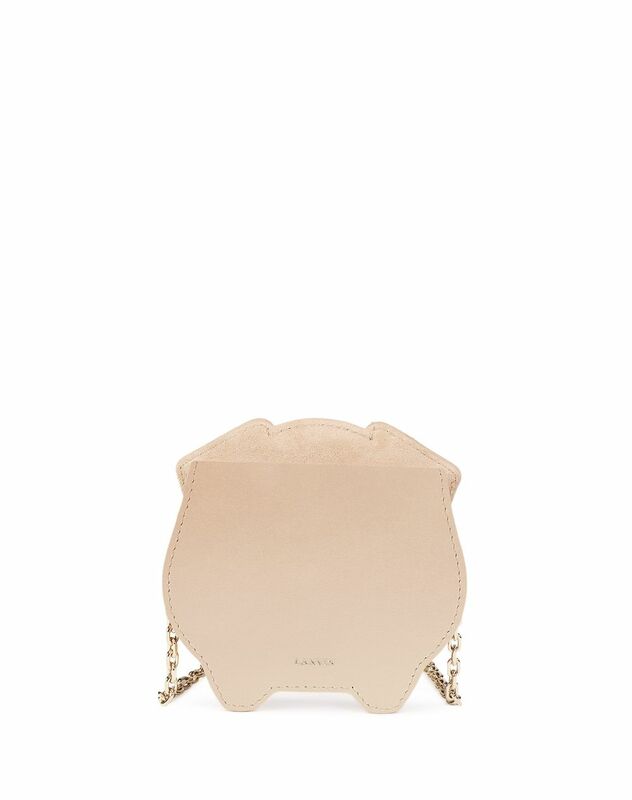 Chinese New Year Capsule small bag in pale gold calfskin leather, zippered closure, tone-on-tone topstitching, appliqué and pale gold Swarovski rhinestones, non-detachable chain shoulder strap and calfskin leather lining with "Lanvin" logo. For the Spring-Summer 2019 Pre-Collection, Lanvin pays tribute to the Chinese New Year with a Capsule collection. 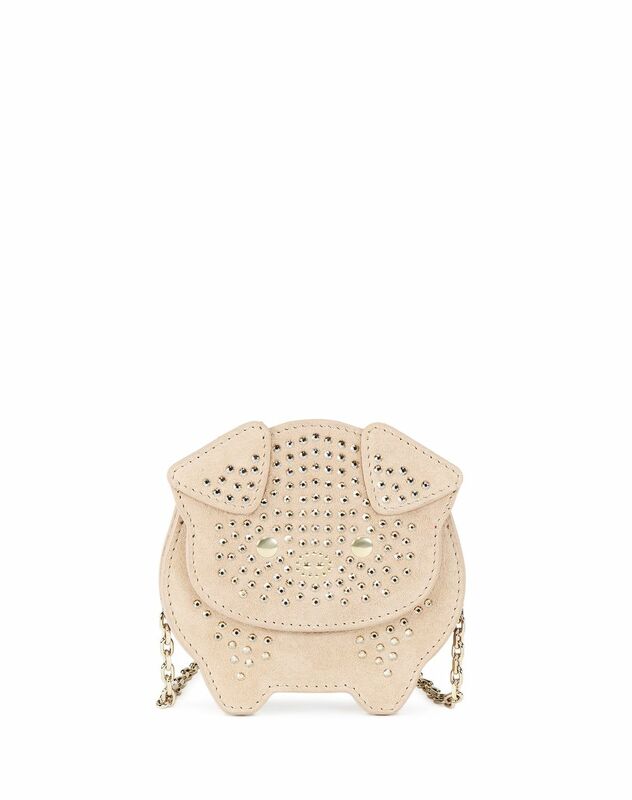 This pale gold calfskin leather coin purse decorated with Swarovski rhinestones is practical and functional, and will add a touch of whimsy to your everyday looks. With its small size and thin chain strap, it may be discreetly worn on the shoulder or across the body. Main material: 100% calfskin leather. Lining: 100% calfskin leather. Depth: 1.2" Width: 4.3" Height: 3.9" Detachable strap length: 42.5" Detachable strap height: 20.5" Made in Italy.